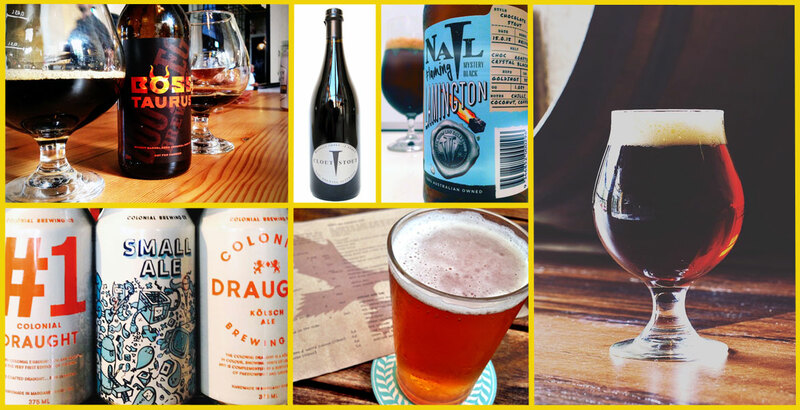 We're (almost) at the halfway mark in our look back at the best new beers released across Australia in 2015. This time we move to WA, where two of our regular contributors, Pia "girl plus beer" Poynton and Guy "Goodtimes Craft Beverages" Southern joined two local beer experts to select their pick of the year's new releases. As with the previous two – Tasmania and South Australia – we asked them to cast their minds back over the past 12 months (where possible with reminders in glass) and come to an agreement (or as close to an agreement as they could) on ten worthy selections from the state's brewers. They could choose whether to present the beers in order or as a orderless list. They could decide whether to limit the ten to one beer per brewery or not. The only really firm stipulation from Crafty Towers was that the beers had to be new from a brewer in their state in 2015 – or at least a new version or vintage of a prior release. This can mean – as it has here – that the lists get a little limited release heavy, but we reckon it offers a nice snapshot of where the beer scene is and prevents the lists becoming stocked with many of the same classics; those classics appear atop other lists year in, year out with good reason, but many of you probably know what they are and don't need reminding. Indeed, this year the people behind the GABS (nee Local Taphouse) Hottest 100 Aussie Craft Beers poll will be publishing a second list of the highest ranked new releases for the first time this year (don't forget to vote here). The lists we've published so far have started a fair bit of debate online, which is always great to see. We're not claiming they're definitive, but an attempt to capture a series of snapshots of the biggest ever year for Aussie craft beer and remind people just how much is going on. Part of that debate, at least on the SA one, relates to there being no women on the panels to date, so we're delighted to confirm that Pia of "girl plus beer" is indeed a girl and that we have female representation on the Victorian panel (not seen the NSW & Queensland lineups yet). Being asked to put together a list of WA’s best new beers of 2015 was both daunting and delightful and, thankfully, a task best shared. 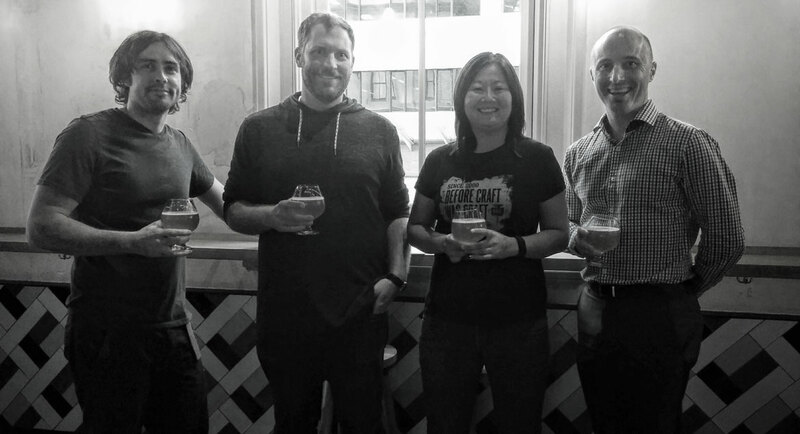 Our panel (pictured above) was made up of four people who met up at Perth’s newest craft beer haven, Petition Beer Corner, located in the newly opened Treasury Building. There was Tim Hoskins, manager of leading craft beer retailer Cellarbrations Carlisle and Sebastian Levy, venue manager of Petition Beer Corner. No arm twisting was required to entice the guys to join us and after a couple of attempts to coordinate schedules we managed to find a Monday night that was just begging for a beer tasting. The list is in alphabetical order by beer name as it was hard enough to narrow beers down to just ten – attempting to rank them was just not going to happen! Full disclosure: we all love beer and some of us work in the industry: By day, Pia Poynton works for Nail Brewing. As such, she did not contribute opinion on or write up any of the Nail beers. Tim Hoskins works for Cellarbrations Carlisle and was involved in the making of Boss Taurus. The lovely people at Eagle Bay Brewing are a social bunch. Besides their own core and seasonal range they’ve managed to pump out a number of collaborations with partners ranging from Melbourne based Huxtaburger boss Daniel Wilson to famed artist Anya Brock. One beer, however, stood out among its esteemed siblings: Black & Tannin. This beer was their second project with Perth bottle shop Mane Liquor following 2013’s Saisonnay, a Chardonnay barrel aged saison. These collaborators do have a way with words. A shared love of IPAs, dark malts and Margaret River Cabernet Sauvignon came together in May for the Great Australasian Beer SpecTAPular (GABS). A packaged release followed a couple of months later featuring the beautiful artwork of Kyle Hughes-Odgers. The inclusion of this final collaborator has seen many bottles purchased from a purely artistic point of view. Those that have opened the red wax sealed bottles enjoyed pine and some tropical bitterness, dark chocolate and a well rounded red wine character. A third batch will be released just in time for Christmas. Don’t sleep on this one! Another collaboration enters the list with Boss Taurus, the "mutant cousin of Bootleg’s famous Raging Bull". This beautiful nightcap of a beer showcases what four months in a Limeburners whisky barrel can do to a dark ale. All of the packaging bravado aside, this is one of this year’s most elegant beers. Dark stone fruit, raisins and whisky meld with a light soy note in a body that is lighter that it appears. One panel member described the aroma as smelling like "a millionaire alcoholic’s office of rich leather" – And that is hard to argue with. With only 600 bottles available, this was a beer to hunt down. There is probably little more that can be said about this beer. While Nail’s head brewer and owner John Stallwood is probably most proud of his Australian Pale Ale, Clout Stout will be the legacy that will stay with many Australian drinkers. It’s big, black and cops a lot of feedback for the price of admission but once you’ve tasted it there will be little doubt this is one of Western Australia’s, indeed Australia’s, best beers. Originally released for Nail’s tenth birthday, 2015 saw just 700 bottles of this annual, bottle conditioned release hit the shelves. It shows rich flavours of chocolate, raisins, figs and some coffee on a silky body. The hop character plays a balancing role in this effortlessly stylish beer. For the past 100 years, Australians have had Lord Lamington (not joking) to thank for a chocolate and coconut covered sponge dessert that has become a national icon. In 2015, Nail Brewing stepped up to reimagine this national culinary treasure into a beer subtitled "Mystery Black". Flaming Lamington brings all of the coconut covered, chocolate dipped nostalgia together in a chocolate stout and then throws a bag of modern Australian chillies at it. Just because they can. The first batch was brewed for the this year’s Great Australasian Beer SpecTAPular (GABS) and, subsequently a second 5,000 litre batch was brewed featuring no less than 80kg of toasted coconut and 30kg of bird’s eye chillies. This was a deliciously different beer released with perfect timing during midwinter. Mal Secourable and Josh Nash have found many fans by choosing the road less travelled. With many screaming for more hops, the Indi team instead focused on a nearly extinct, malt driven beer that has historically used herbs and tree bark as bittering agents. The 2015 Mumme (pronounced Moo-meh) was balanced and sessionable, although tipping the scales at just over 5 percent ABV. What kept punters coming back for more was the intriguing light beechwood smokiness of the beer. This historical brewing angle really shows the diversity of the local brewing community and a belief that a good beer will always be drunk. There’s something about feeding your inner beer nerd and Star Wars nerd simultaneously that's certainly a unique element within craft beer. After all, you don’t hear of many – if any – Star Wars inspired wines do you? The "2" here refers to the beer style – a double American red ale and the "8" is the number of times hops were added to the beer. The result was something pretty incredible, the words “adult candy” were uttered among the panel as we reminisced on this cracker. 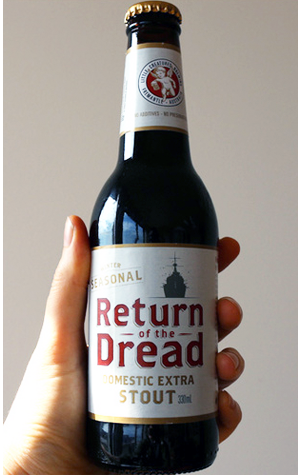 Released as a seasonal, if there are beer gods then please let them bring this beer out again. In an emerging world of craft brewery buy outs and debate on the true meaning of "craft", there was no denying the gorgeousness of this seasonal release from the Lion/Kirin-owned Little Creatures. A domestic extra stout that didn’t pull any punches, boasting coffee, chocolate, vanilla and some red fruit notes. If this seasonal doesn’t come back next year we fear a riot down at the Fremantle brewery. Starting life as a limited release, Small Ale was tweaked and canned and is thankfully now available all year round. Don’t let the name fool you, there’s plenty of big things happening in this Small Ale. Plenty of hop character to make you forget it’s a little lower on the booze side of things. With stone fruits and citrus playing amongst a soft and slightly sweet malt background, it’s responsible and delicious at the same time. It’s also one of the most satisfying beers to open thanks to its 360 degree lid that comes away with a delightful snap and pop noise that brings smiles to beer geeks faces. Guy commented that, with the right distribution, this pocket rocket could easily sit next to Little Creatures Pale Ale and Stone & Wood Pacific Ale in future years as an approachable Australian classic. Released as part of the Brewers Series range of beers, this was available in limited kegs and bottles throughout spring. It's a surprisingly big Steam Ale; “It’s not afraid to bring the full flavours through,” Seb observed. A well rounded fruitiness was balanced by a little malt sweetness and a lengthy finish. Striking the balance between approachable and interesting, it’s for both craft curious and craft fan alike. Sure, it’s one of their most recent releases and, given the reputation of the brewery, every beer they release tends to be met with glowing, gushing reports. But, goddam, it’s all true. 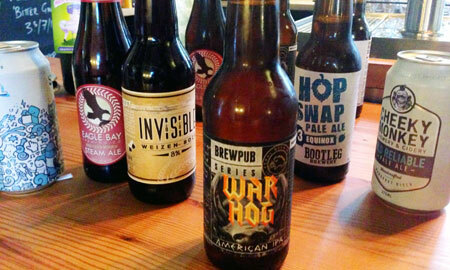 Sometimes a beer, as good as it is, can fall victim to it’s own hype. Not here. “This is as good as I remember it being,” said Tim during our tasting session. War Hog is everything you crave from an American style double IPA: aggressive tropical fruit and citrus hop character is met with a wave of malt to ensure that what hits your palate is just as balanced as it is ballsy. Released as part of the Brewpub Series, available in draught and 330ml bottles in limited quantities, it was also something of an experiment for Feral in terms of the hops used. One that appears to have been rather successful. Thanks to Pia, Guy, Seb and Tim for taking the time to look back. Hope it wasn't too troublesome a task. Look out for more "Best New Beers of 2015" between now and the end of the year. About the authors: Pia Poynton is the girl behind girl + beer and handles Crafty Pint WA Twitter tweets. Guy drinks and writes about beer, goes for a run most mornings and makes his own chilli hot sauce. Find out more via Goodtimes Craft Beverages, Facebook and Instagram.